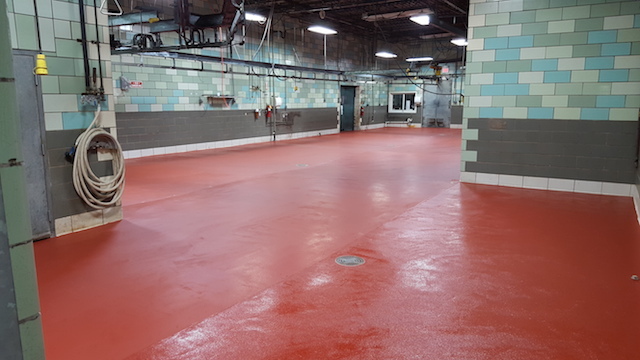 Some high performance industrial floor systems and coatings generate a strong odor during the installation and chemical curing process, which can be a nuisance when facilities must run production during installation. While sufficient airflow through the installation area will dissipate most odors, preventing them from disturbing facility operations or personnel, costly downtime may need to be scheduled, if the proper conditions are not possible. Low odor flooring and coatings from Surface Solutions are volatile organic compounds, or VOC-compliant, and have little or no odor, which allows business to continue as usual, with no shut-downs or downtime during installation and curing. The majority of our industrial floor systems and coatings can be installed using low odor technology, making the entire process as easy and efficient as possible for our clients. Surface Solutions provides expert consultation and installation, and a full line of low odor flooring solutions products in addition to other industrial flooring systems. We are committed to 100% customer satisfaction on every project.